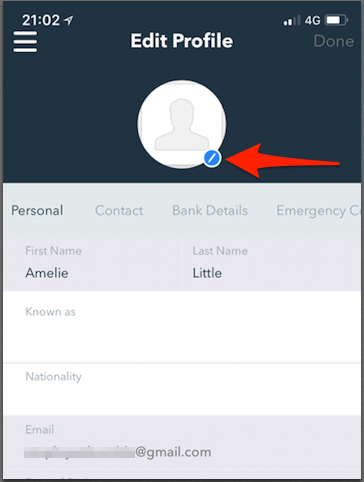 Employees have the ability to update some of their personal info on the mobile app. 3. Shown below is your personal profile. Much like the desktop version, there are some pieces of information you can edit and other areas you cannot - these boxes will be greyed out. Please note! 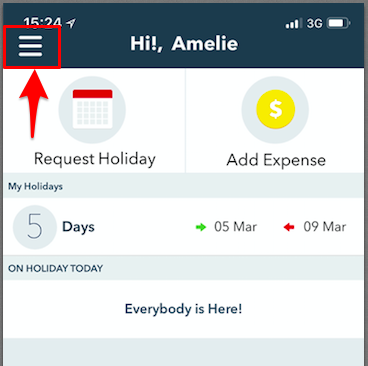 Once all changes have been made, click 'Done' in the top right-hand corner to ensure these changes have saved.